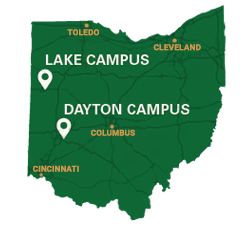 Did you know that before there was a Wright State University there was a Wright State University Foundation? Since our incorporation on December 15, 1966, we have been working—in conjunction with University Advancement—to help this great university provide an affordable, accessible, high-quality education to students from all walks of life. Like our founders themselves—key leaders of Dayton-area business and industry in the 1960s—we still believe that the dream of a college education should be a reality for anyone with the potential and drive to succeed. We look forward to working with you to make your giving experience as meaningful and inspirational as possible. Thank you for your support of Wright State University. Wright State alumni collaborated with the Bolinga Black Cultural Resources Center to establish the African American Alumni Society scholarship.